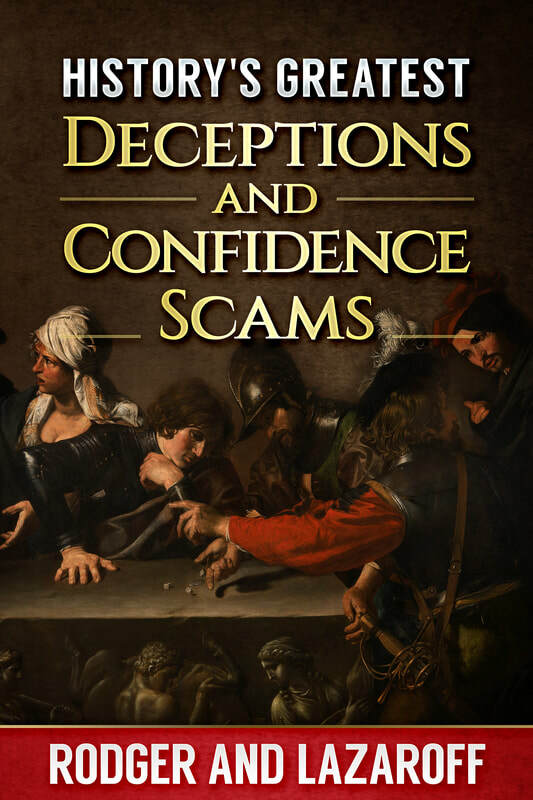 ​Throughout history, there have always been fraudsters and tricksters ready and willing to part people and their money with smooth talking and tall tales, but the first formally recorded “confidence trick” was uniquely American in its origins and set the bar for both simplicity and sheer guts, both hallmarks of the most successful frauds ever perpetrated. From the ancient Egyptians to the modern era, join the authors as they take you on a romp throughout 4000 years of human history to reveal the tricks and schemes that were perfected by colorful characters throughout the ages. Using humour, and wit, the authors paint a tapestry of deception and subterfuge perpetrated by the brilliant minds of each era.